You're asking how ConnectorB gets XRP while giving an example where ConnectorB gets XRP. In an ILP world, likely the primary way people would get XRP would be by receiving it in trade for some other asset in an interledger transaction. 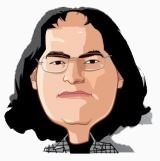 As far as XRP is concerned, every transfer of XRP is just a shuffling around of XRP. Whether the movement of the other asset takes place on the public ledger or not really doesn't make any difference. I think you'll see Ripple focusing on banks and financial institutions. We still think that they will get the biggest benefits in the short term and that benefits to other groups are greatly increased by bank and FI adoption. That doesn't mean we don't think other strategies make sense or that other groups can't get benefits from ILP. That just seems where we can get the greatest return for resources expended in the short term. We hope that through standardization, openness, and evangelism, we can also encourage others to promote ILP to groups that can get benefits that Ripple may not be best positioned to target. You'll be seeing a lot more of our strategy in the very, very near future. I agree that central banks facilitating interbank transfers using ILP makes a lot of sense for a high-speed, low-cost, domestic funds transfer system. The exact mechanism could vary, but I think the most natural one is where the central bank operates a connector that effectively has credit on each of the bank's ledgers. Just as order book connectors also have internal ledger-like state (offers, market maker balances, and so on), central bank connectors would have ledger-like state, that being the credit/debit balance of each bank. Banks would have funds on deposit or credit at the central bank. So if a customer at BankA makes a payment to a customer at BankB, ILP would be used to debit the customer at BankA (crediting BankA's balance with the central bank) and to credit the customer at BankB (debiting BankB's balance with the central bank). This would be payment without settlement, and banks would have to settle net imbalances with their central banks (possibly also using ILP). I mean that XRP transfers will take place on the RCL, just as Bitcoin transfers take place on the blockchain. Transfers can, of course, also take place on other systems, but the public database is the ultimate authority. The bulk of the cost comes from the time the money is in transit. This means both the loss of the use of funds while they're in transit and the need to pre-fund accounts with lower transit time to destinations. Are you suggesting that banks will complete payments in seconds but nevertheless hold funds for days? The next biggest factor of cost comes from the failure rate of international transfers. Are you suggesting payments would succeed, but banks would still not tell customers just to keep their customers' costs up? That doesn't seem very plausible either. The savings come from fundamental changes in the way the system works, not from rates that are a tiny bit less. Of course it will continue to ground XRP. But also, anyone who would prefer to issue an asset that trades on a public ledger will use it. I don't think it's a huge problem if RCL's role shrinks to the point that ultimately all it does is ground XRP. Perhaps assets issued on public ledgers will thrive once it becomes easier to bridge them to other assets.